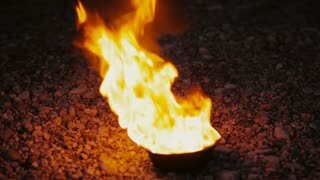 Search Results for "camp fire with flame"
Real Camp Fire Flame Full HD. Teneke içinde yanan kamp atesi Full HD. Burning campfire in tin Full HD. Camp fire flames moving colourfully set against black dark background, slow motion. Camp fire flames starting in bokeh shot gradually getting into focus, slow motion. Real Camp Fire Flame 4k. Teneke içinde yanan kamp atesi 4k. Burning campfire in tin 4k. Roasting hot dog over a camp fire. Hot coals and flames. Cooking food for lunch or dinner. Outdoor camp campfire. Don Despain of Rekindle Photo. Toasting marshmallows over a camp fire. Hot coals and flames. Cooking food for lunch or dinner. Picnic campfire cooking. HD 1080 video. Don Despain of Rekindle Photo.